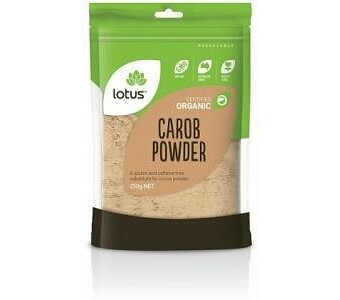 Lotus Organic Carob Powder is a gluten and caffeine free substitute for cocoa powder. Ingredients: Organic Carob. No Preservatives or Additives. Certified Organic by ACO.